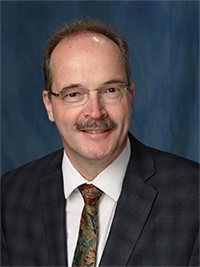 Dr. Christoph Seubert is a Professor of Anesthesiology, Chief of the Division of Neuroanesthesia, and Director for the Intraoperative Neurologic Monitoring Laboratory for the Department of Anesthesiology at the University of Florida. He received his medical degree from Julius-Maximilians-Universität in Würzburg, Germany and his Ph.D. from Albert-Ludwigs-Universität in Freiburg, Germany. Dr. Seubert completed his residency in anesthesiology at the University of Heidelberg in Heidelberg, Germany. 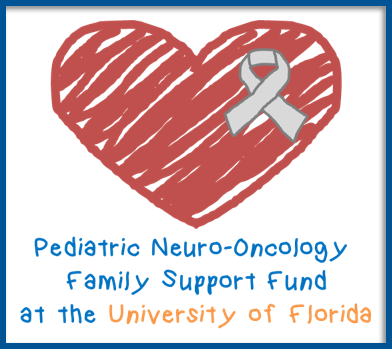 Additionally, he completed a residency, as well as a fellowship in cardiothoracic and vascular anesthesia, at the University of Florida College of Medicine. His clinical interests are in anesthesia for neurosurgical procedures and intraoperative neurophysiologic monitoring. Seubert CN, Mahla ME: Neurologic monitoring, in Miller RD (ed): Miller’s Anesthesia. 8th ed. Philadelphia, Elsevier Churchill-Livingston, 2014. Conrado DJ*, Bewernitz M*, Ding M, Cibula J, Seubert C, Sy SK, Eisenschenk S, Derendorf H. Electroencephalogram effects of armodafinil: comparison with behavioral alertness. J Clin Pharmacol. 2013 Oct;53(10):1058-71. Seubert CN, Zhu W, Pavlinec C, Gravenstein N, Martynyuk AE: Developmental effects of neonatal isoflurane and sevoflurane exposure in rats. Anesthesiology Aug;119(2):358-64. doi: 10.1097/ALN.0b013e318291c04e, 2013. Cao W, Pavlinec C, Gravenstein N, Seubert CN, Martynyuk AE: Roles of aldosterone and oxytocin in abnormalities caused by sevoflurane anesthesia in neonatal rats. Anesthesiology Oct;117(4):791-800, 2012. Sahre M*, Sabarinath S, Grant M, Seubert CN, DeAnda C, Prokozimer P, Derendorf H. Skin and soft tissue concentrations of tedizolid (formerly torezolid), a novel oxazolidinone, following a single oral dose in healthy volunteers. Int J Antimicrob Agents 40:51-54, 2012. Moran C*, Seubert CN: Anesthesia for Carotid Surgery, in Ruskin K: Fundamentals in Neuroanesthesia; New York, Oxford University Press, 2012. Moran C*, Mahla ME, Reichwage B*, Peters K, Lewis SB, Seubert CN: Transient bilateral brainstem dysfunction caused by topical administration of papaverine. J Neurosurg 115: 715-19, 2011. Seubert CN, Herman M: Auditory evoked potentials, in in Koht A, Sloan TB, Toleikis JR (eds): Monitoring the Nervous System for Anesthesiologists and Other Health Care Professionals. New York, Springer, pp 47-68, 2011. Edwards DA, Shah HP, Cao W, Gravenstein N, Seubert CN, Martynyuk AE. Bumetanide alleviates epileptogenic and neurotoxic effects of sevoflurane in neonatal rat brain. Anesthesiology 112:567-575, 2010. Seubert CN, Mahla ME: Neurologic monitoring, in Miller RD (ed): Miller’s Anesthesia. 7th ed. Philadelphia, Elsevier Churchill-Livingston; 1477-1514, 2010.